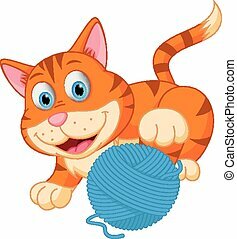 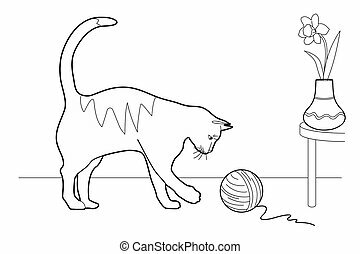 Cat playing with a ball of wool. 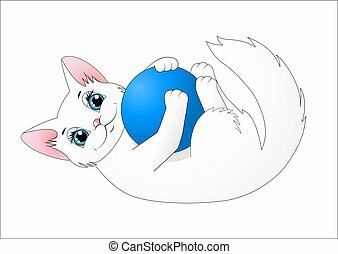 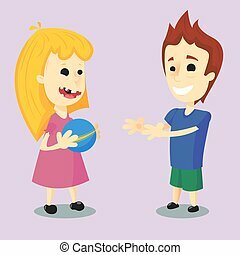 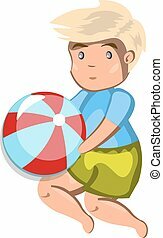 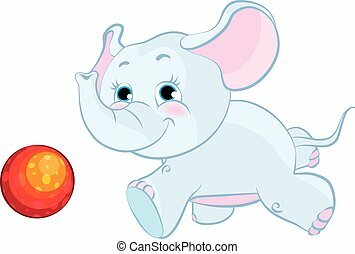 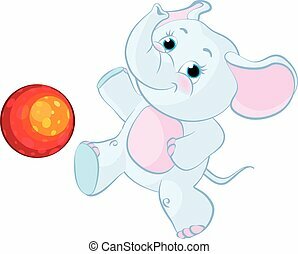 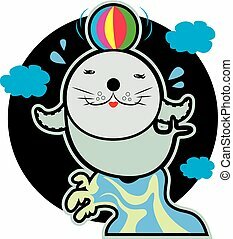 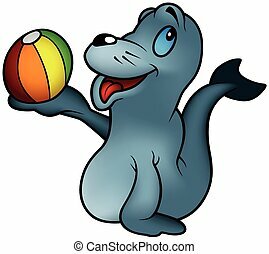 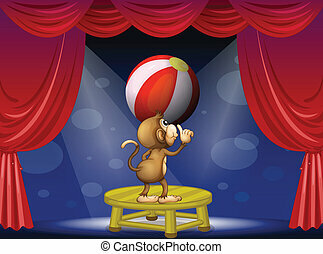 Playing with a ball . 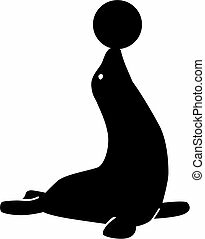 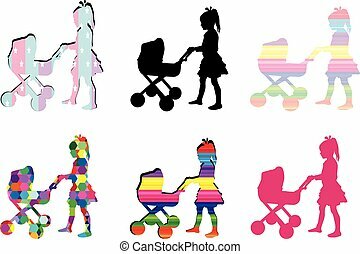 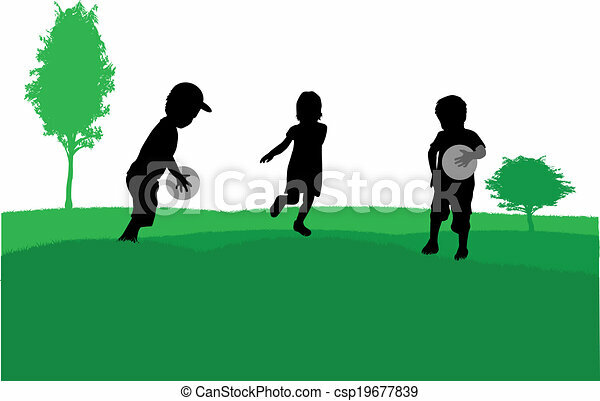 Children silhouettes. 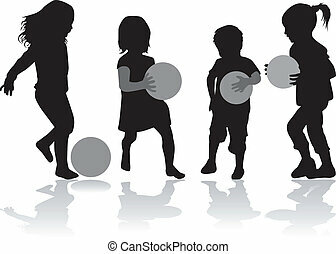 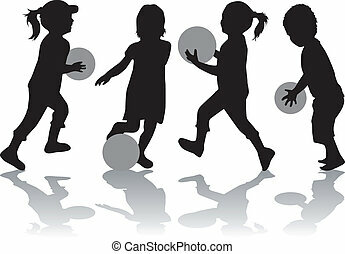 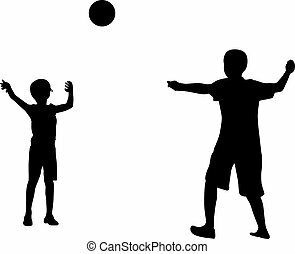 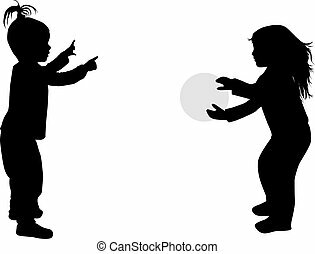 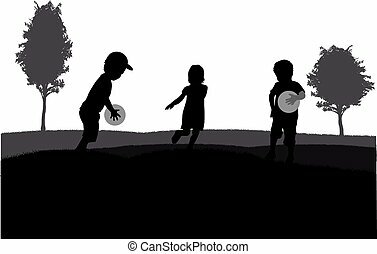 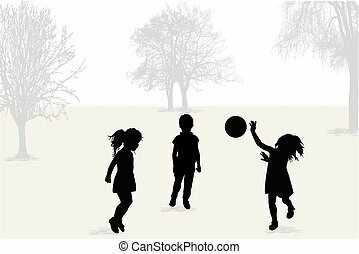 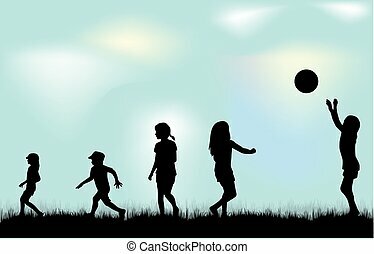 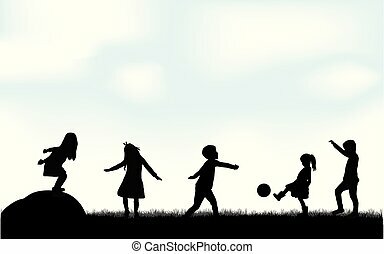 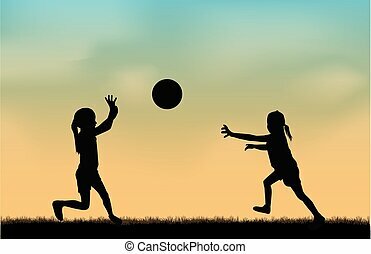 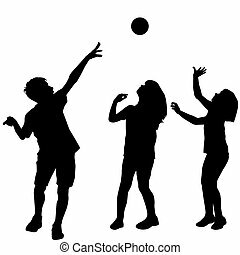 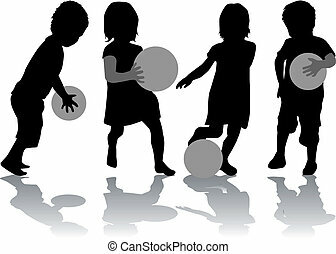 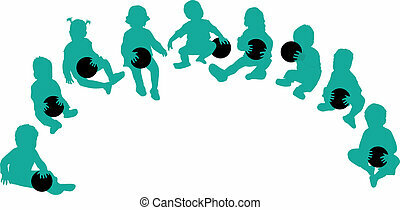 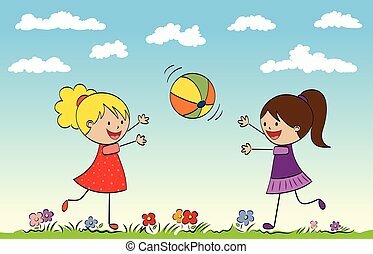 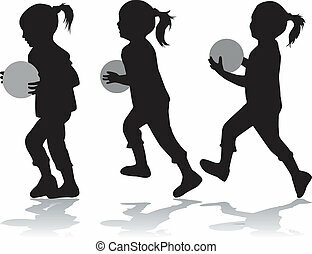 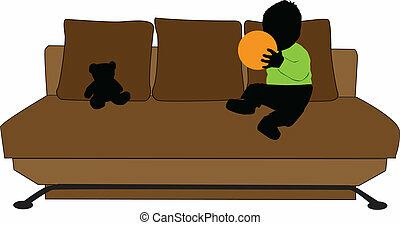 Playing with a ball.Children silhouettes. 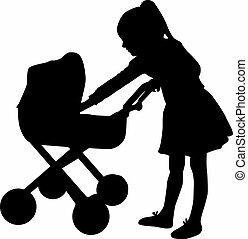 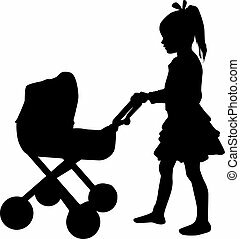 Young girl playing with a pram.